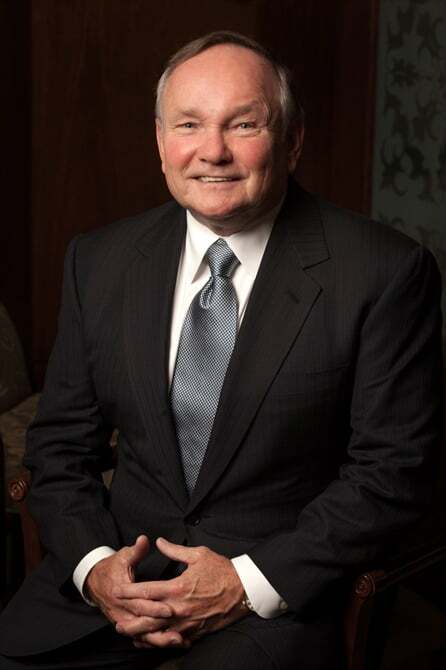 Bob Clifford is the founder of Clifford Law Offices, which concentrates its practice in helping victims of personal injury, medical malpractice, mass torts, consumer and health care fraud, product liability, and aviation and transportation disasters. 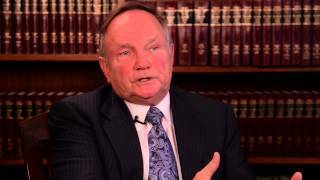 Bob regularly handles complex damage cases and routinely receives multi-million dollar verdicts and settlements. One of Bob’s most notable cases is the $29.6 million verdict for Rachel Barton, an internationally acclaimed violinist who was severely injured by a Metra train. 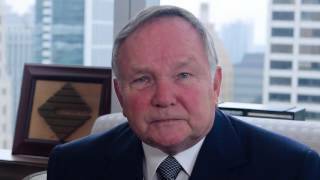 In 2014, Bob was the lead negotiator in the $1.2 billion settlement of numerous 9/11 property damage claims following the collapse of the Twin Towers in New York. In March 2015, Bob Clifford was lead counsel in a trial against Yellow Cab that resulted in a $25.9 million verdict on behalf of a lawyer who was injured in the back seat when the van crashed into a concrete barrier. 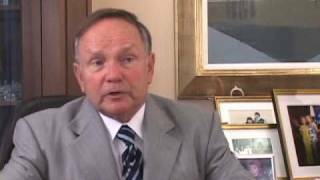 Bob was named by Best Lawyers/U.S. 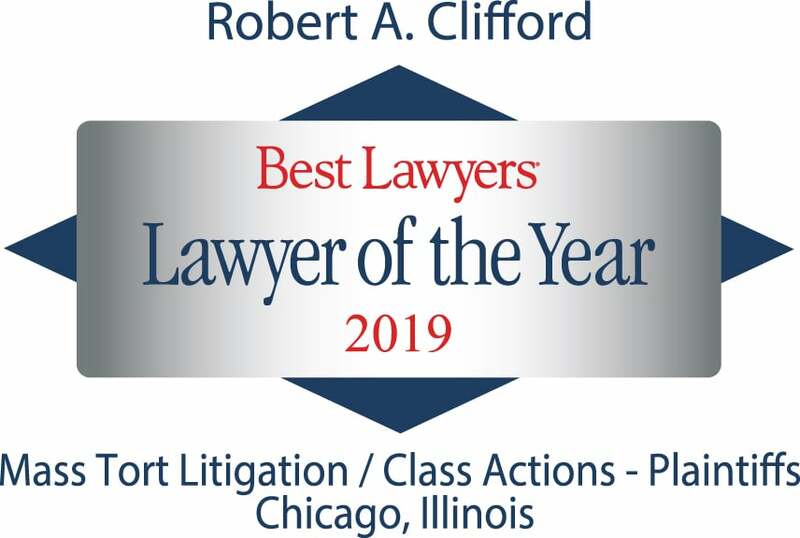 News & World Report as the Lawyer of the Year in Mass Tort Litigation/Class Actions in 2016 and again in 2019 in the Chicago metropolitan area. He was appointed to serve as co-lead counsel in a case for which several attorneys recently secured a $250 million settlement against State Farm Insurance company. Bob also serves as co-lead counsel in a data breach case filed in state court against Advocate Medical Group, Illinois’ largest healthcare system, involving more than four million patients and reportedly the largest healthcare data breach in the nation’s history. In addition, Bob was appointed as co-lead counsel in a class action filed against Pella Windows Corporation, a nationwide window manufacturer. 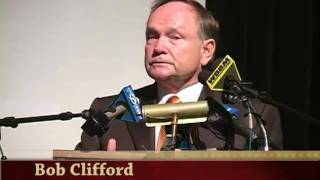 U.S. District Court Judge James B. Zagel of the Northern District of Illinois appointed Clifford “as class counsel for his demonstrated skills in the field”. Most recently, Bob and other attorneys have joined to represent numerous hospitals across the country in their fight against the manufacturers of opioid drugs. Clifford Law Offices also represents numerous women in their allegations against Johnson & Johnson stemming from use of the company’s talcum powder products. Just recently, the National Trial Lawyers named Bob Clifford as the Class Action Trial Lawyer of 2018. Illinois Institute for Continuing Legal Education Programs on: Comparative Negligence, Expert Witnesses in Personal Injury Cases, Medical Malpractice, Negotiating Settlements, Proof of Fault, Sanctions. Bob Clifford has been interviewed by every major media outlet in the U.S., including Associated Press, Reuters, The New York Times, The Washington Post, The Wall Street Journal, Chicago Tribune, Chicago Sun-Times, The San Francisco Chronicle, ABC, NBC, CBS, syndicated radio networks, MSNBC, Fox News, Fox Business News and others. Below is a sampling of some of these interviews and stories over the years. National Public Radio (NPR), Malaysian Airlines Disappearance, March 31, 2014. “Organizing a Plaintiff’s Personal Injury and Wrongful Death Law Office,” Litigation, American Bar Association, Section of Litigation Journal, Vol. 5, No. 4, Summer, 1979. “Use and Presentation of Demonstrative Evidence,” Proof of Fault in Auto Accident Cases, IICLE, 1979, (supplements) 1983, 1985, (rewritten) 1988, (updated supplement) 1990.